As I jogged around our country's beautiful historic monuments on my last day in Washington D.C. last week, I felt…well…patriotic. I’m going to dare to randomly muse around a bit here, even though, apparently, anyone with a platform risks losing half their community of support if they veer off that platform. Bruce caught so much grief a couple of years ago for cancelling that concert in North Carolina in protest of a law that would determine which bathrooms transgender people were allowed to use. He apologized to fans. (I’m glad I wasn’t one of them. I would have been bummed.) But I get it. His ex-fans never bought another ticket even though they subscribed to him, bowed to him, “Bruuuuced” to him for 30 years! This is not a contentious blog. On the contrary. As I ran beside the Reflecting Pool headed towards the Lincoln Memorial, listening to The Wombats, I was uplifted. Right there in front of me was a gaggle (new vocabulary word) of students who walked out of class to take to the streets. On another corner there was another cluster of believers marching for (or against) something else. We’re all marching more often for more reasons with more passion. We're changing attitudes. This is good, right? It's a beautiful day. Hard to believe I’ve been considering moving to a new planet. No matter what your politics are, you’d have to agree it’s the Twilight Zone in America. There’s Lincoln sitting in his chair looking out over the city. I wonder what he’s thinking. When I was little I wanted to crawl up into his lap. This Wombats album is excellent. Great lyrics. Delicious melodies. Makes me want to run forever. Who would have thought, in 2004, that an innocent little social media forum, on which we’d share pictures of our children and pets with our besties, would become a platform that Russians would use to divide and conquer us? You can't make this stuff up. After the election I cut ties with a dear friend not because she voted for the other guy (or gal) but because she posted stuff on that forum that was extremely disturbing and it totally shut me down. Sh*t. I miss her. But I can’t unsee it. I hope Facebook gets it together with the data mining shenanigans. I want to give Mark the benefit of the doubt. “Turn” is my favorite Wombat track so far. Maybe all the trash talk we’ve been flinging has caused more divisiveness than the polarizing issues themselves. Yes I think so. Like…one might be surprised to know I’m conflicted as to when it is exactly that life begins. But you'd have a better chance convincing me of your view if you're civil and unpartisan. If I get comments from trolls or haters I’m going to delete them as I see fit. We all should try to be more kind. Kinder? (Brendan, which is it?) Myself included. Why would you name your group The Wombats? If you ask that, one could also ask, why would you name your group The Beatles? If the music is that good it doesn't matter what you call yourselves. I’m not counting the minutes. I’m not looking at the clock. There's nothing like seeing (or re-seeing) a city while running through it and listening to a thought provoking album. In entirety. Then again there are Segways. How fun must that be? They look kinda dorky but I’d give it a go. I don’t think I’d ever stop laughing. Did you ever wonder how often you turn up in the background of other people's photos? I’m sure I’m in plenty today. 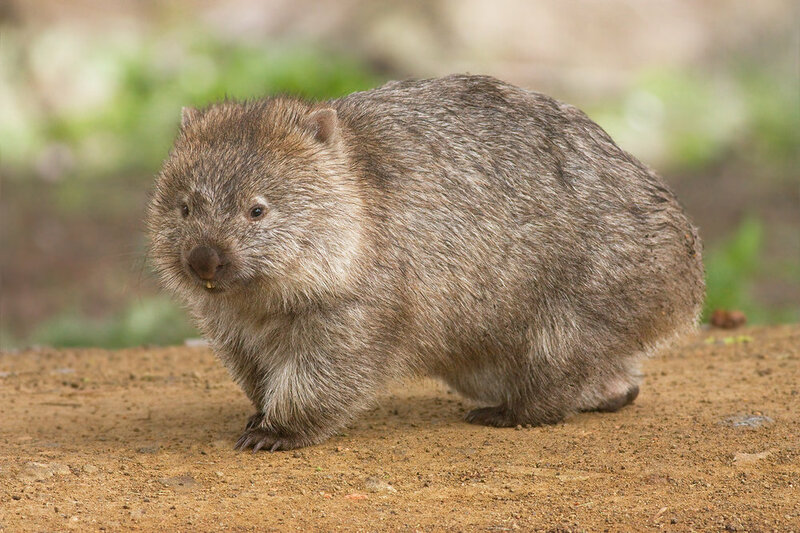 I seem to love bands whose names start with “W.” Wombats. Weezer. Wilco. Wallflowers. Rufus Wainwright! How come the White House seems uninhabited? Just once, could a first lady please poke her head out and wave? We know you're in there. It’s Us! Your people…and we are concerned with the spirit of our nation. You can give us hope. C’mon, Melania. Do it! I want to thank KCRW for turning me onto the Wombats in the first place, who I '"Shazamed," and because they were saved automatically in “My Shazam” (more data collection!) I was able to listen to them today with a tap of my finger tip. So easy. And now that Shazam knows what I like they'll be sure to curate tons more music for me. Hurray! Cable news is The Truman Show. 24/7. Is this how normal will be from now on? Maybe we don't want to go back to the other normal. Maybe we need yet another new normal. I'm so confused. Plus, I don't want my playlists curated! And...I don’t want to move to a new planet. I don’t. I love my country. This too shall pass. There will be silver linings. Some we can’t even predict yet. It’s going to be okay. Then there’ll be more drama. We’ll get through that too. All I know is, music makes everything better. And when I’m listening to it, I can see things differently, it can change my mind. I can turn the other cheek. I can open my heart wider. Maybe I’ll call my friend.